Just over forty three years ago, just as this picture was taken, a bleary eyed wee boy was thrilled to the limit watching those grey tv pictures of men walking on the moon. It is a moment in history that is forever etched into my memory. As I `ve said before in these pages I am eternally grateful to my father for getting me up that wonderful July morning to witness history being made. Tonight I learned of the death of Neil Armstrong, the first man to walk on the moon. 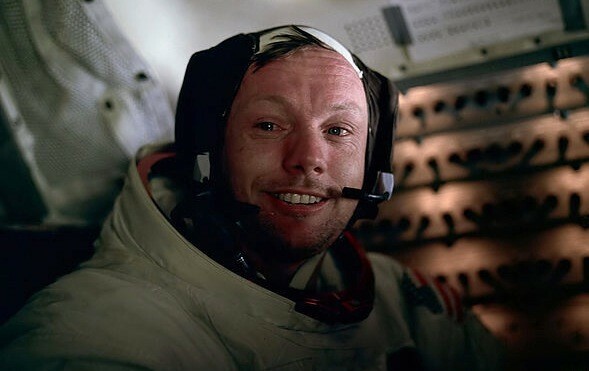 Neil Armstrong… God`s speed to you!